In an experiment that even caught the researchers by surprise, nematode worms had their lifespans increased by — get this — five times. By tweaking two longevity-related genes, the researchers created an unexpected feedback effect that radically amplified lifespan. The technique could eventually be used to treat age-related disorders in humans. Scientists at the Buck Institute combined mutations in two pathways known for lifespan extension — mutations that inhibit key molecules involved in insulin signaling (IIS) and the nutrient signaling pathway Target of Rapamycin (TOR). Normally, a tweak to TOR results in a 30% lifespan extension in C. Elegans worms, while mutations in IIS (Daf-2) results in a doubling of lifespan. By combining the mutations, the researchers were expecting something around a 130% extension to lifespan. "Instead, what we have here is a synergistic five-fold increase in lifespan," noted Pankaj Kapahi in an official statement. The worms lived the equivalent of about 400 to 500 human years. "The two mutations set off a positive feedback loop in specific tissues that amplified lifespan." These results now show that combining mutants can lead to radical lifespan extension — at least in simple organisms like the nematode worm. Kapahi says that a similar technique could be used to produce therapies for aging in humans. 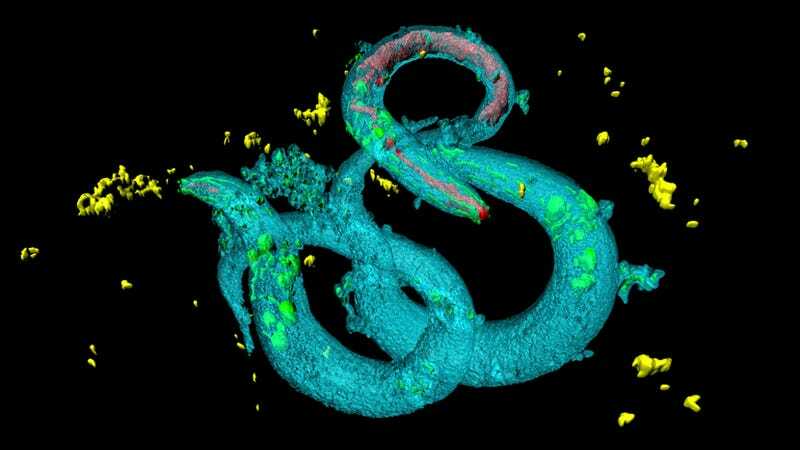 But it's unlikely that it would result in the dramatic increase to lifespan seen in worms — but it could be significant nonetheless. "In the early years, cancer researchers focused on mutations in single genes, but then it became apparent that different mutations in a class of genes were driving the disease process," he said. "The same thing is likely happening in aging." The research could help explain why scientists are having a difficult time identifying single genes responsible for the long lives experienced by human centenarians. "It's quite probable that interactions between genes are critical in those fortunate enough to live very long, healthy lives." The positive feedback loop, say the researchers, originates in the germline tissue of worms (a sequence of reproductive cells that may be passed onto successive generations). This may be where the interactions between the two mutations are integrated — which, if correct, may apply to the pathways of more complex organisms. To that end, the researchers are planning to perform similar experiments on mice. Read the entire study at Cell: "Germline Signaling Mediates the Synergistically Prolonged Longevity Produced by Double Mutations in daf-2 and rsks-1 in C. elegans."